← SaveRoadsideTrees.com brought to public attention! 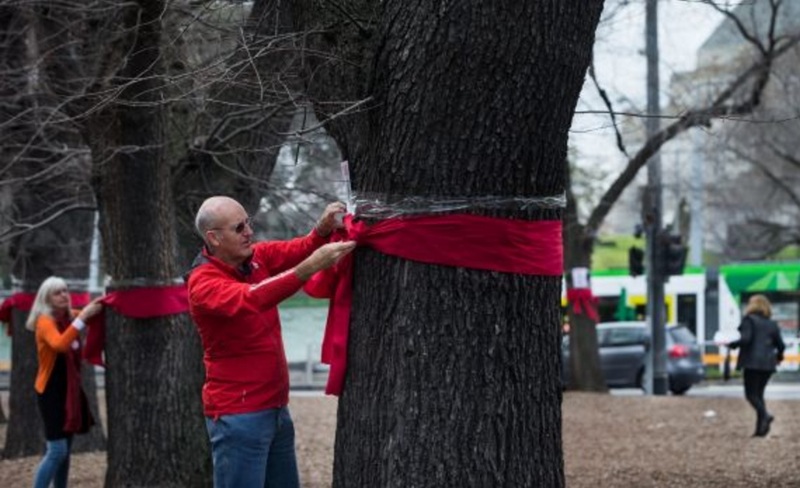 It would take St Kilda Road (and Domain Parklands) at least a generation to recover from Melbourne Metro Rail construction, as new trees planted to replace those destroyed will not mature for many, many decades. Very Third World! The trees should be saved and any construction works forced to accommodate them. “A 700-metre stretch of the leafy boulevard between Dorcas Street and Kings Way is set to be stripped of its established plane and elm trees when the Domain Station is built 15-metres below St Kilda Road using a “cut and cover” method.” (That’s the opposite of the Magic Pudding’s “cut and come again” method of pudding replacement). A must read! This is what the State government and Melb Metro Rail want to destroy! It’s huge! (A small amount only copied here). “The National Trust has serious concerns regarding soil stabilisation using ‘grouting’ techniques in the Domain, in the event that the ‘upper’ tunnel alignment under the Yarra but over the CityLink tunnels is approved. This alignment option would have an unacceptable detrimental impact on the heritage of the Domain, which is characterised by a parkland of scattered trees dotted across lawns, divided by avenue plantings along winding roads and paths. The King’s Domain and its plantings have historical associations with Baron Von Mueller, William Guilfoyle, Carlo Catani and Hugh Linaker, giving it an unrivalled pedigree of curatorship in Victoria. This entry was posted in Uncategorized and tagged Community action, heritage tree loss, roadside tree loss, roadside vegetation. Bookmark the permalink. Well, well must be looking good for the pollies don’t breath air, just feed us manure.